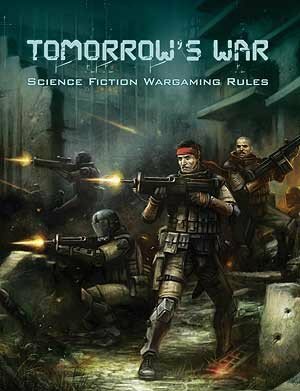 A miniatures wargame of gritty futuristic combat, Tomorrow's War projects the tactics and technology of today's military conflicts hundreds of years into the future. While robot drones, anti-gravity vehicles, and advanced battle-suit technology have changed the face of warfare, the essentials of combined-arms tactics have remained constant. Using the popular Force on Force rules as a basis, Ambush Alley Games has created the most realistic and tactically challenging science fiction wargame on the market. The rulebook includes a detailed optional 'future history' and a campaign system so that individual battles can be linked into an ongoing storyline.